Considering that he’s a man who has made such an enormous impression on the world of heavy music, it’s no surprise that Tom G. Warrior has plenty to say for himself. And we’re delighted that he will be sharing some of his personal insight, wisdom and experience with us as part of the Roadburn 2019 side programme. Mere hours after he has taken to the stage to perform the Celtic Frost/Triptykon Requiem alongside the award winning Dutch Metropole Orkest, Tom will join us across the street at the V39 to talk about the experience – as well as countless other twists and turns that led to him being sat on a sofa in Tilburg talking about his life. 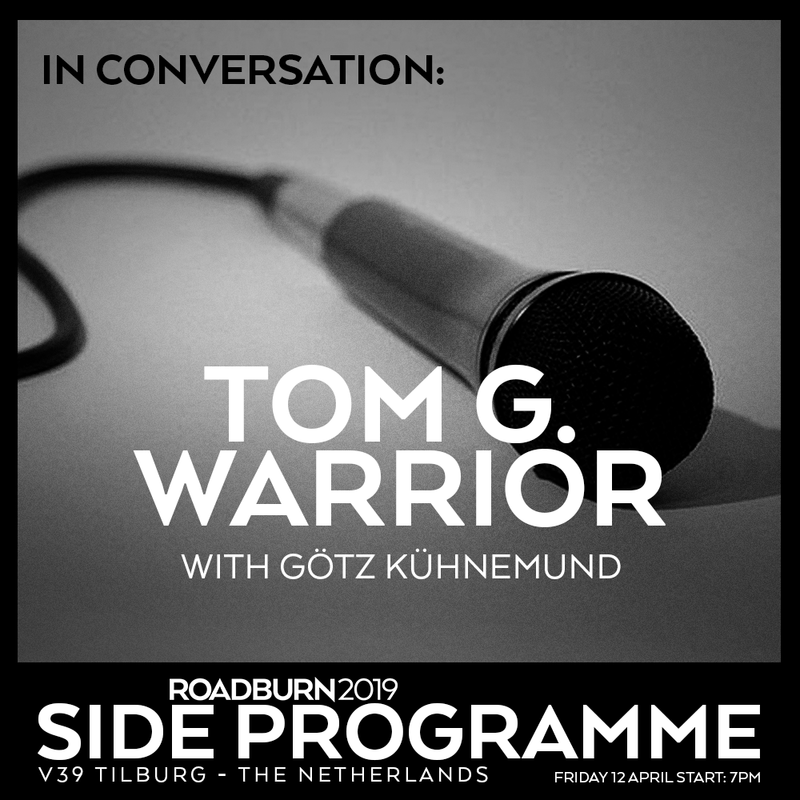 Guiding us – and Tom – through the many possible paths worthy of exploration will be renowned journalist Götz Kühnemund, before the floor is turned over to the audience to ask this intrepid heavy metal explorer any burning questions.